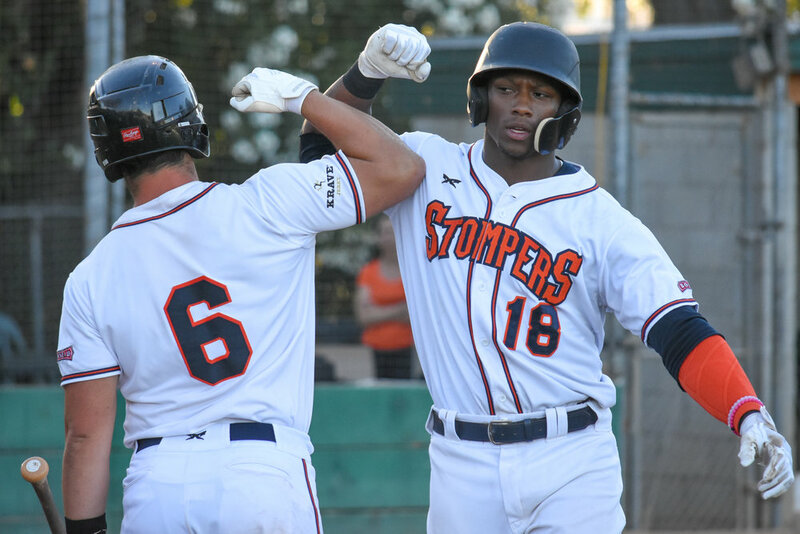 SONOMA, Calif. – The Sonoma Stompers continued their winning ways Saturday night, topping the Martinez Clippers 6-5 for their third straight win. Ethan Gibbons delivered another stellar outing on the mound, pitching into the eighth inning and striking out seven Clippers while allowing just three runs. He received early run support when Miles Williams connected for a solo home run in the first. Williams didn’t stop there, hitting another in his third at-bat, his eighth of the season to make the score 5-1. Rayson Romero and Rob DeAngelis delivered back-to-back RBI hits in the second inning, a double and single respectively that plated three runs and put Sonoma in a comfortable position. Similarly to last night, pitching faltered in the late innings when Kenny Mathews gave up a game-tying grand slam to Martinez third baseman Alan Mocahbee. But like the night previous, there was no quit in the navy and orange. Two walks and a two-out hit from Mitchell Ho gave the Stompers a 6-5 lead that allowed closer Jacob Cox to enter the game in the ninth and secure the team’s third straight win and his league-leading ninth save of the season. Sonoma looks ahead to another game with Martinez Sunday afternoon, a 1:05 start in which the Stompers will go for their second straight sweep to wrap up the homestand.